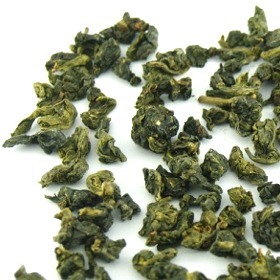 Our selection of Dong Ding Oolong tea is among the best that Taiwan has to offer. It is known as the finest Formosa Oolong. It originated in Nantous Lugu area (Deer Valley) in 1885 and is named after a nearby mountain called Dong Ding Shan which can be translated as Frozen Summit Mountain. Our Dong Ding Oolong teas are from Mount Dong Ding in Taiwan and they have been hand picked and hand processed . The fragrance and taste of this tea is wonderfully sweet and will leave you craving for more. Sweet aroma, smooth and soothing flavor. Evenly and tightly rolled tea leaves. Jade green to light golden in liqiud color. This is a good high mountain oolong. I would drink this once in a while. Another abysmal tea -- the worst of the three I ordered. Ive had Tung Ting (Dong Ding) tea many times before, but nothing could compare to the nearly absent taste of this one. The best oolong I've had to date. Simply breath taking. This is so far my favorite tea from teacuppa. For the price its probally the best Taiwan Oolong i've had.